Description: Possible disjunct distribution. Two records in Barkley Sound, one record in Queen Charlotte Islands, otherwise from California + 1 possible record southern Oregon. Description: This species has been recorded once in Saanich Inlet. Description: 1 individual monitored at 1 site over 20 years. Description: known only from one site. Description: Unique site in Strait of Georgia at 16m where dense population on a fiber mat comparable to habitat in Antarctic. 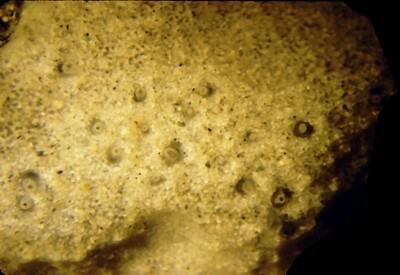 Description: Another hexactinellid sponge at uniquely shallow [5 m] habitat in Seymour Narrows. 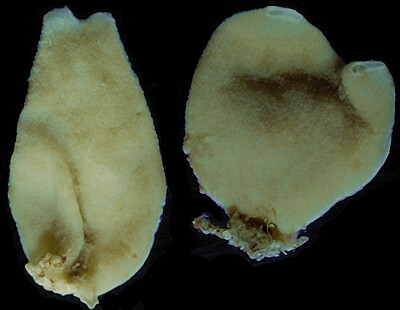 Description: One of the dominant hexactinellid sponges in a sponge reef some 10 m high and 9000 years old. Description: 10 m high and up to 9000 years old.